Heather de Kok, AAF AIFD CFEJ PFCI has shown commitment to the industry by her hard work and dedication. She started her own international design house, Heather de Kok Floral Design, which has led her to design flowers World Wide for consumers and celebrities alike. Heather was officially inducted into the American Institute of Floral Design (AIFD) in July 2007, at their national symposium. She was the only Canadian to achieve this honour from a group of over 150 worldwide applicants. (Each year approximately 50 percent of the applicants who apply for the designation are able to meet and pass the rigid qualifications and standards required). Heather was the inducted into the American Academy of Floriculture (AAF) at the Society Of American Florists 2008 annual convention. Established in 1965, the American Academy of Floriculture (AAF) recognizes industry members that meet the Academy’s high standards of service to their industry and community. Nomination and acceptance into the Academy is open to all qualified persons in all segments of the industry. In September 2009, Heather was inducted into the Professional Floral Communicators International (PFCI). This is given to floral professionals who are knowledgeable in the floral industry and are talented and effective communicators who give amazing demonstrations. Heather is the first and only one in Canada to be inducted into PFCI. There are only 126 members that have been given this exclusive designation worldwide. 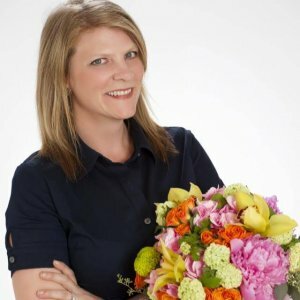 In 2015, Heather was inducted into the Certified Floral Evaluator and Judge, CFEJ which allows Heather to judge international Floral Design competitions worldwide. Further to all of the above Heather participated as a designer in the 2008 Tournament of Roses parade held New Years day in Pasadena California. She worked on 2 of the floats for the parade both of which received awards. She has also been a featured designer at various design seminars throughout the country as well having been one of three judges at the most prestigious Sylvia Cup International Design Competition, held in Florida in 2008. In 2011, Heather was asked to represent Canada in the Gateway to the Americas Floral Design competition. She competed in Brazil against 12 other countries and came in second for peoples choice. She was asked again to represent Canada in 2014 and came in first winning the Sunshine cup. This took place in Florida with 9 other countries being represented. Heather is also very involved in her community. She has served as President of her Rotary Club, she has been a very active member since 2001. Heather is also very involved with Scouts Canada. She has been a leader for the Beavers for 4 years and sits on the Group Committee for her Colony. She runs flower clubs in elementary schools as well as donates flowers to a variety of charitable events throughout the city. A highlight in Heathers career was being asked to Design for the Whitehouse in September of 2015. The event was for the Presidents Estate dinner. She worked closely with Whitehouse staff by designing the centerpieces as well as the flowers for numerous rooms in the Whitehouse. Heather also runs the Maple Leaf Floral Design Competition. An annual competition that brings out designers from across Canada to go head to head in a one day event. In 2015, Heather was listed as one of the 50 most influential floral designers in the World by Flowers across Melbourne. Register today for this exciting show and workshop.